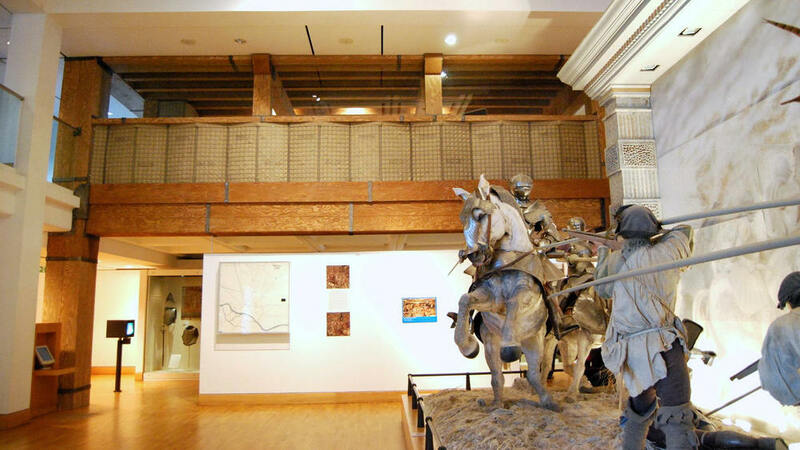 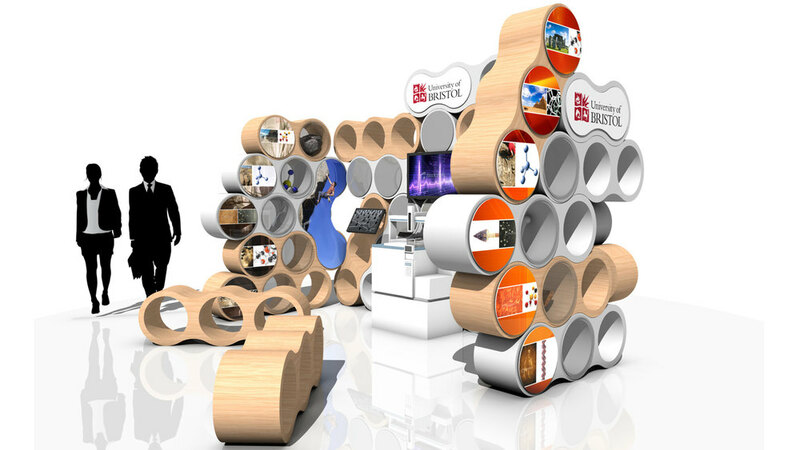 Create a ‘plug & play’ exhibition system for multiple use. 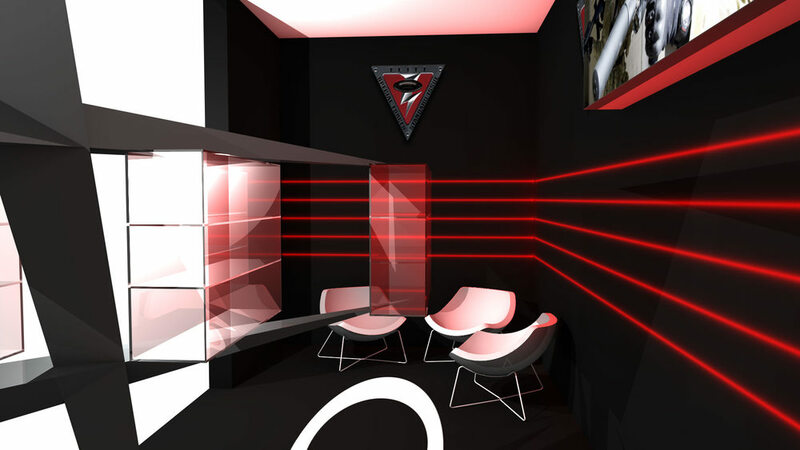 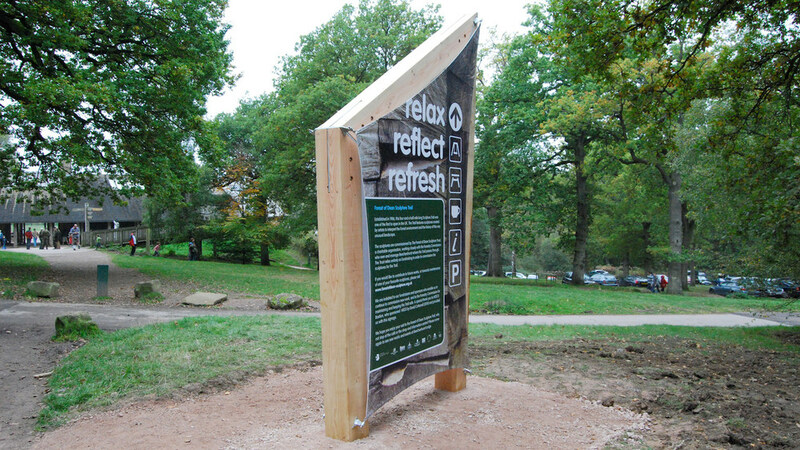 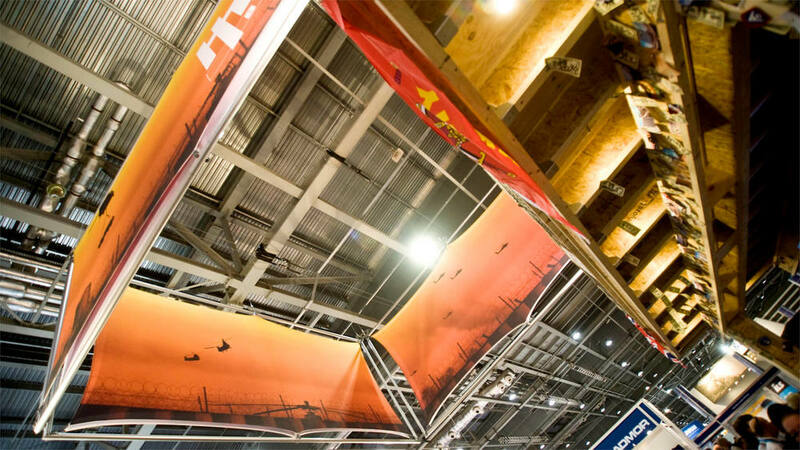 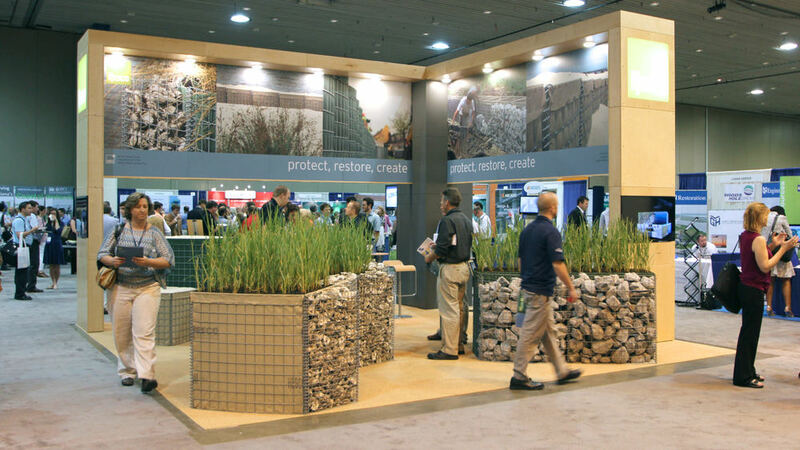 Sustainable and natural materials; modular construction offering flexibility; simulated product displays. 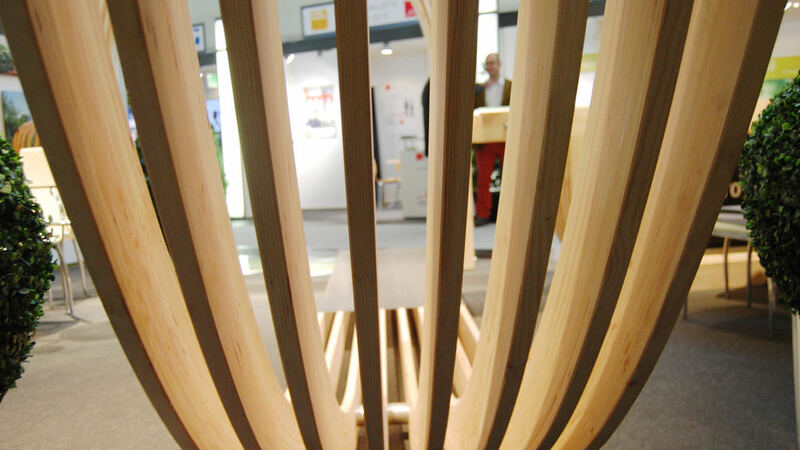 Minimum architecture for maximum impact. 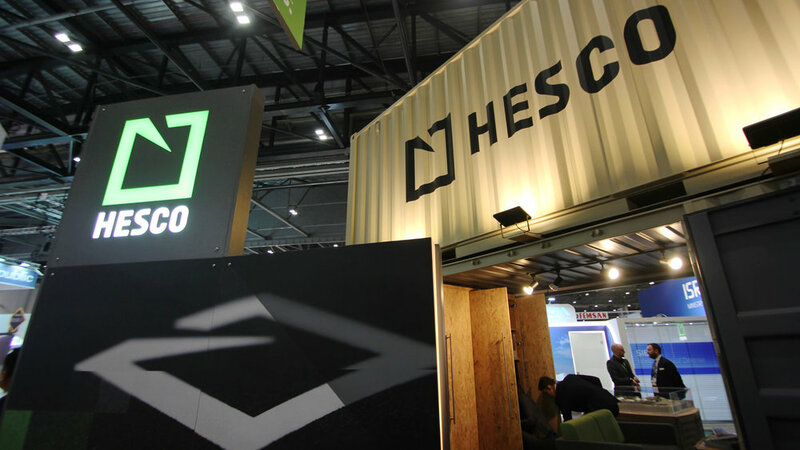 From a simple series of bespoke interlocking components emerged a large and imposing canvas on which to display HESCO Environmental’s breadth of activity and experience. 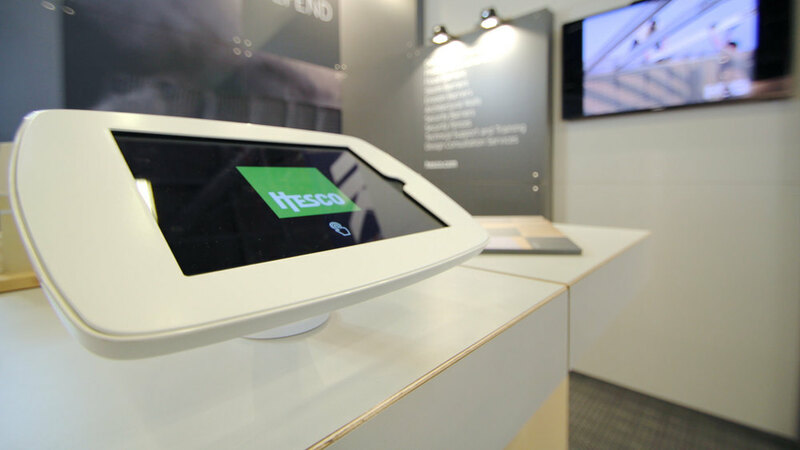 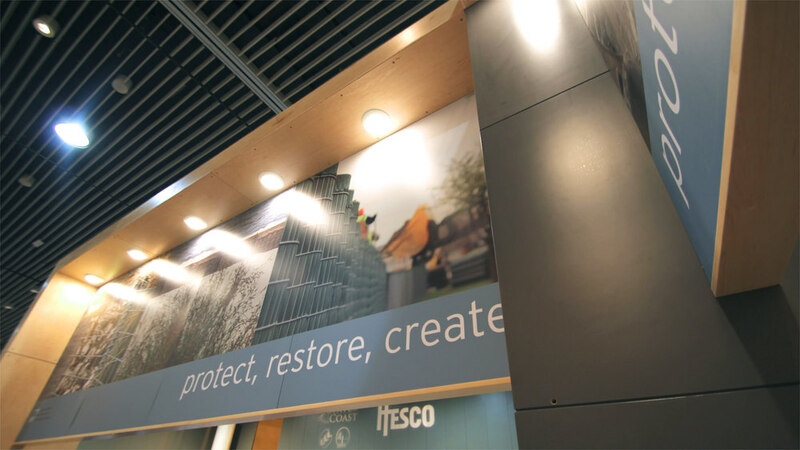 This modular exhibition display integrated LED lighting and video imagery to further highlight Hesco's exceptional contribution to both coastal restoration and flood defense. 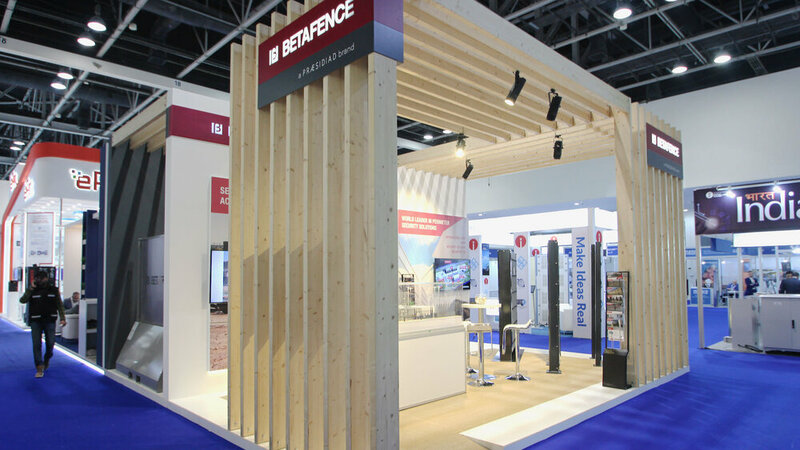 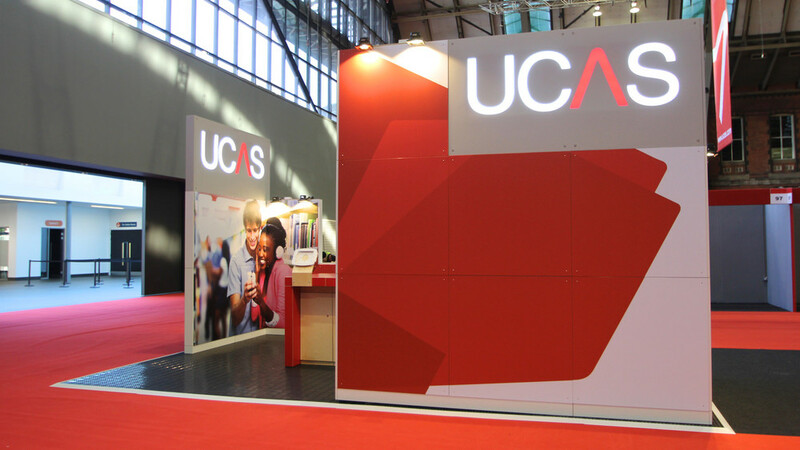 The flexibility of this modular exhibition stand ensures its longevity, as HESCO Environmental can adjust it for ongoing events. 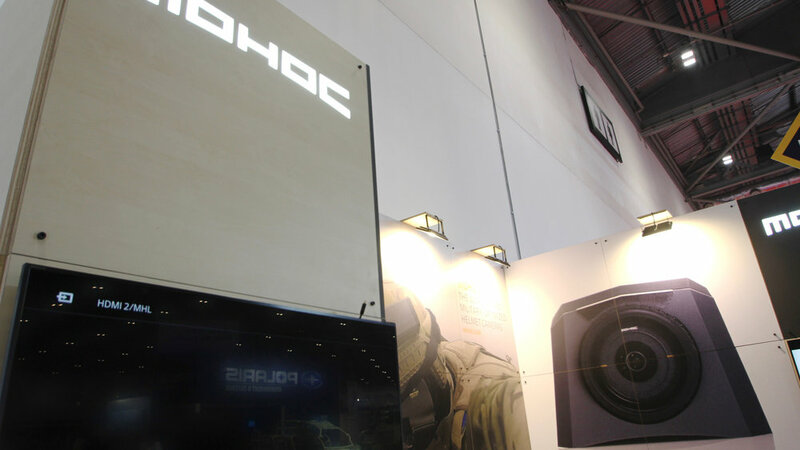 The HESCO Environmental team proclaimed their bespoke trade show stand a great success. 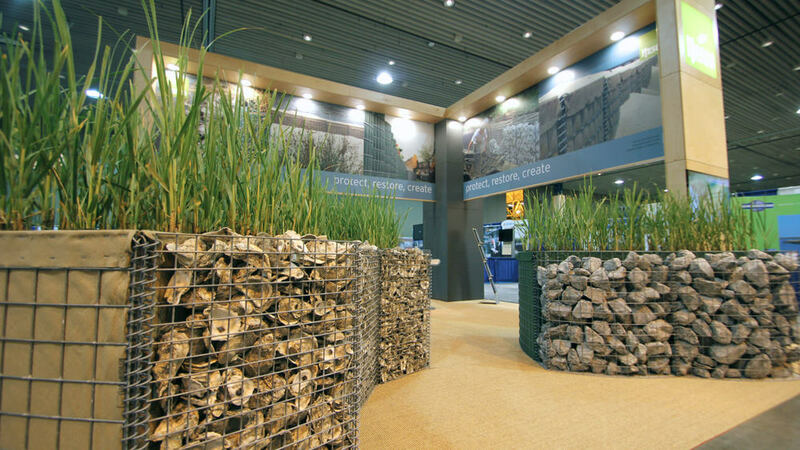 The purpose-built and innovative display "attracted considerable interest and provided an excellent level of exposure". 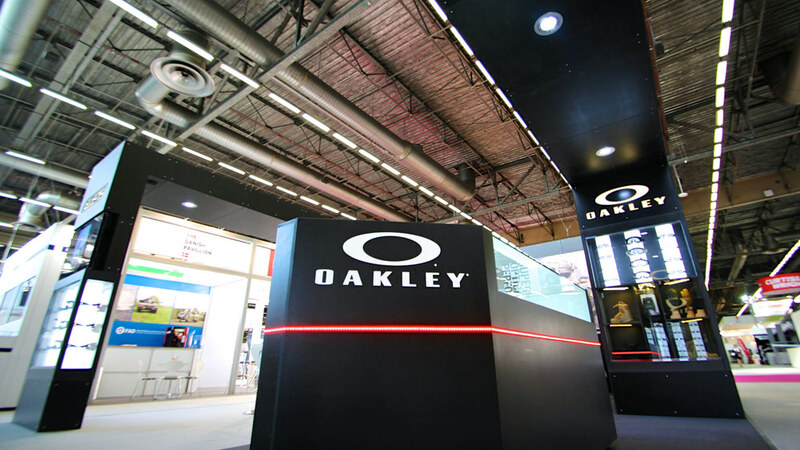 So much so that they were subsequently invited to be the main sponsor of a much larger environmental conference.